Honda has launched the 2018 Honda Amaze. The car will get the first segment CVT gearbox in both petrol and diesel variants. Amaze gets major exterior as well as interior changes, making it look much bolder and sportier. 2018 Amaze is priced starting from Rs 5.59 Lakhs for the petrol and Rs 6.69 lakhs for Diesel one. Honda Amaze was launched today after it was highly awaited by the people. It is a highly competitive car and it mainly puts up against Maruti Swift Dzire. First unveiled in the Auto Expo 2018, the car gets major exterior and interior changes with a new list of features on it. Honda Amaze, like earlier, will come in petrol and diesel variants. It also features a CVT gearbox in both the petrol and diesel variants, making it the first car in the sub-4 metre sedan segment. New features include LED daytime running lights, automatic climate control, rear air-con vents to name a few. The car does not get any engine update and continues with the same 1.2 Litre i-VTEC engine and the 1.5 Litre Diesel i-DTEC engine. 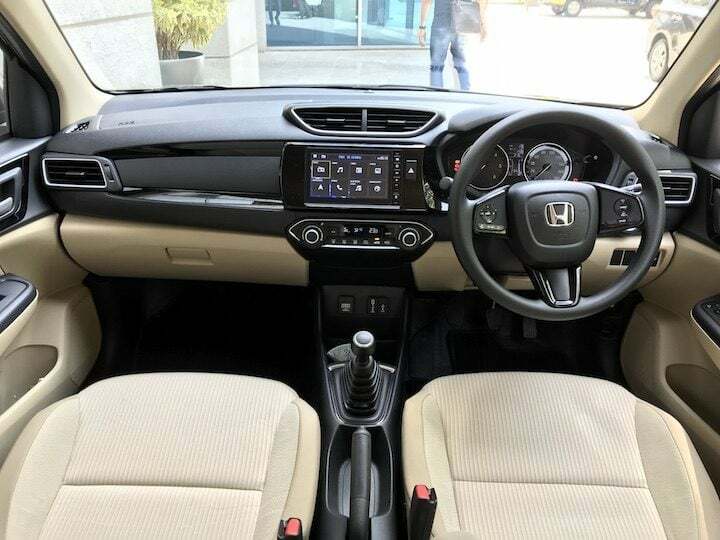 2018 Honda Amaze petrol variant is priced starting from Rs 5,59,900 and the diesel variant is priced starting from Rs 6,69,900 (ex-showroom). 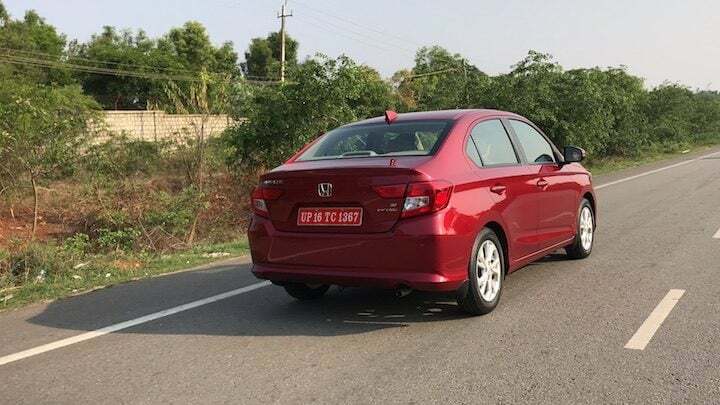 2018 Honda Amaze gets a fully new body with heavy changes on the exterior and interior. 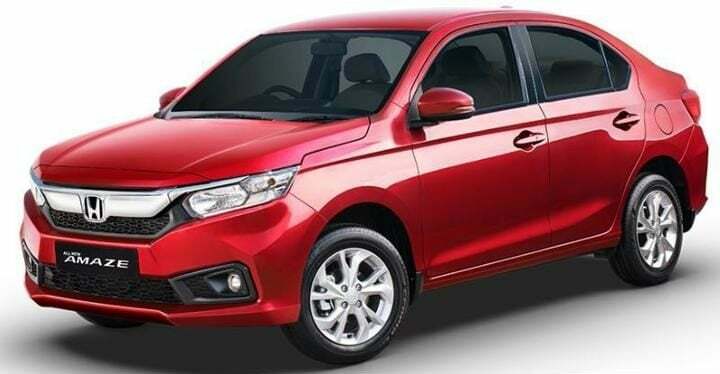 In the exterior, it gets a new bonnet style, which resembles the Honda City. It gets a chrome front grille flanked by large headlamps. In the rear side, it gets large headlamps with sort of a rear spoiler. Also, it gets new alloy wheels. In the interiors, it gets a dual-tone black and beige colour scheme. It also gets an updated level of technology in the interiors. Overall, the interiors now look classy and premium, unlike the earlier model. It seems to carry forward Honda’s premium styling tag. Amaze continues with the same petrol and diesel engines. The petrol variant gets a 1.2 Litre i-VTEC engine that produces 87 BHP worth of power and 109 Nm worth of torque. The diesel variant gets a 1.5 Litre i-DTEC engine that produces 98.6 BHP worth of power and 200 Nm worth of torque. The car will come mated to a 5-speed manual gearbox with an optional CVT gearbox in the ‘S’ and the ‘V’ variant of the car. The car gets a whole new list of features on it. In terms of safety features, it gets dual airbags, ABS, rear parking sensors and ISOFIX as standard fittings. The top end models receive 6 airbags, ABS with EBD, Cruise Control, Reverse Parking camera and sensors, Electronic Stability Programme and Traction control system. Other features include LED DRLs, Automatic Climate Control, Rear AC vents, New Digipad Infotainment, Electrically Adjustable ORVMs, rear central armrest and Day and Night IRVM. Honda is also offering two accessory packages priced at Rs 4,999 and Rs 9,899 with the Amaze. It also offers 3 years unlimited warranty standard for the car, which can be extended up to 5 years. In terms of competition, it mainly competes with Maruti Swift Dzire, Ford Aspire, Tata Tigor and Hyundai Xcent. The sub 4-metre compact sedan segment, currently, is very competitive with almost near pricing and each one of them giving some additional features than the other. Now, with the new pricing, Honda has placed Amaze in a more difficult competition.